Two-time North Carolina State Champion Isabelle Sumichrast will join the Syracuse field hockey team for the 2017 season. The Charlotte, North Carolina native is a three-year All-Conference, All-State, NC All Star, and Charlotte Observer Super Team member. She was also was recognized as an NFHCA All-Region player and honored on the NFHCA All-Academic honor roll back to back years from 2015 to 2016. Sumichrast played for the Charlotte Ambush club field hockey team for the past five years in addition to being selected for the North Carolina All-Star team for NCISAA Schools at Charlotte Latin School for the past three years. Sumichrast has big aspirations for her time at Syracuse, as she hopes to challenge herself academically in the renown S.I. Newhouse School of Public Communications while pushing herself athletically on the field. Besides being the captain of the field hockey team, Sumichrast participated in many other extracurricular activities during her high school career, including Model United Nations, Girl Up Club, Mosaic (Diversity) Club, and Spirit Club. She hopes to further grow her leadership qualities while playing for the Orange. Her high school coach agreed that the center midfielder will be able to spark team chemistry through her poise and communication on the field. The daughter of Marty and Cindy Sumichrast, Isabelle is confident in her ability to win a championship in an Orange uniform. She noted that playing on Coyne Field will help her to remember the history and legacy left by former players, and her to strive for that level of hard work. Sumichrast is excited for the intensity that comes with ACC Competition. Stay tuned to Cuse.com over the coming weeks to learn more about coach Bradley’s newest additions to the Syracuse hockey family. LOS ANGELES, March 21, 2017 /PRNewswire/ — kathy ireland® Worldwide (kiWW) and Encore Endeavor One (EE1) have joined forces with Winter Music Festivals, LLC (a subsidiary of National Event Company) to produce the 2nd Annual MINUS ZERO Winter Sports and Music Festival set to take place at the Stratton Mountain Resort in South Londonderry, Vermont on April 7 and 8. 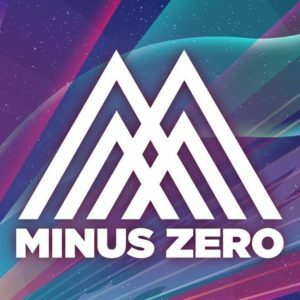 Earlier this month, MINUS ZERO announced the lineup for the upcoming event which includes performances by Bassnectar, GRiZ and Zeds Dead. The two-day winter sports and music festival will feature three stages of music, skiing, snowboarding, Rail Jam & Jump presented by Monster Energy, lodging onsite and free parking. “We are thrilled to co-produce this dynamic and exciting Sports and Music Festival. Jason and Gary are gifted and inspiring. We want the sports and music worlds to know that every year, at Minus Zero, something wonderful is going to happen,” says Kathy Ireland, Chair and CEO of kathy ireland® Worldwide. EE1 was launched in 2016 by Kathy Ireland, Nic Mendoza and Tommy Meharey, Vice Presidents of kathy ireland® Worldwide and EE1. Meharey co-produces sold out events in Hawaii and Asia and will join Ms. Ireland, Roseberry and Mendoza in the Minus Zero Winter Sports and Electronic Music Festival. The company is a producer and marketer of multiple entertainment distribution platforms including live entertainment, publishing, music, film and television. EE1 is a subsidiary of Level Brands, based in Charlotte, North Carolina. Martin Sumichrast is CEO of Level Brands. Isabelle Sumichrast (Junior: Age 17) was recently featured on WBTV Charlotte News as one of 2015’s most outstanding High School Field Hockey players in North Carolina. Isabelle is a Field Hockey standout who recently was name to the All South Region team (which covers a 5 State area). She was 1 of only 3 players chosen from the entire State of North Carolina to receive this honor. In 2015, Isabelle was also named two year in a row to the North Carolina All State Team. Isabelle also maintains a very impressive 3.77 GPA average and is actively involved in the college recruitment process and remains undecided. Watch her interview on WBTV News here ! HOUSTON — The distance from the hardscrabble street where Jadeveon Clowney grew up and became an iconic high school football player to the Carolina Panthers’ stadium is just 27 miles. Marty Sumichrast is a longtime family friend and mentor to Clowney. He first met him when Clowney was a sophomore in high school, describing him as a tall, scrawny kid still finding his way. CHARLOTTE, N.C., Aug. 11, 2015 /PRNewswire/ — KURE Franchise, LLC announces that its Franchise Disclosure Document (the “FDD”) has now been successfully filed in over 36 States, opening the opportunity for KURE to begin selling its KURE Vaporium & Lounge store franchises to prospective franchisees. CHARLOTTE, N.C., July 7, 2015 — KURE Corp. is pleased to announce that it has partnered with Best Buddies International, a nonprofit dedicated to creating opportunities for friendship, employment and leadership training for people with intellectual and developmental disabilities (IDD). Founded in 1989 by Anthony Kennedy Shriver, Best Buddies is an international philanthropic venture that has grown from one original chapter at Georgetown University to more than 1,900 middle school, high school, and college chapters worldwide. Best Buddies programs engage participants in each of the 50 United States, and over 50 countries around the world. With eight formal programs, the efforts of this organization continues to positively impact the lives of more than 900,000 individuals with and without IDD worldwide. “KURE has taken a very good and positive initiative in partnering with an outstanding world class charitable organization like Best Buddies International.” Read the full story here. Benjamin will oversee global growth and positioning of the leading vaporium and lounge retailer and lead Kure’s aggressive franchise retail store expansion throughout the United States and internationally. Benjamin’s hiring comes just weeks after Kure Corp. announced the completion of $4.7 million in capital financing from institutional and accredited investors to help fund Kure’s retail store expansion in the United States. The expansion will be accomplished primarily through franchising, and a campaign is planned to attract franchise candidates nationwide. More exciting news for the future of one of our portfolio companies. Read full article here.